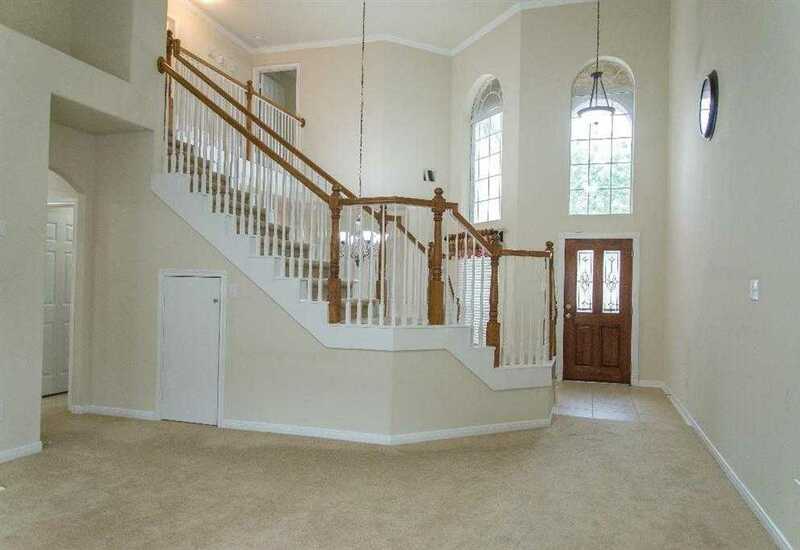 This is a gorgeous and very rare 3 bedroom, 3 FULL BATH bath townhouse located in a well maintained gated community. It offers high ceilings in the living room, dining room and the master bed room. Kitchen and all other bedrooms have 9′ high ceilings. A gas log fireplace adds to the beauty of the living room. There’s plenty of closet space all over specially in the master bedroom and master bath. The master bath is huge and offers an over-sized tub and a separate shower. It comes with two sinks on both sides of the tub and offers plenty of space to roam around. There are additional built in jewelry cabinet in master bath and book shelves in second bedroom. The bedroom downstairs is perfect for use as a study or office! The 65 television, fridge, washer and dryer, and an additional freezer in the garage are included. 13; All lawns and sprinkler systems in the neighborhood are provided and maintained by the association! It’s priced for quick sale and reasonable offers will be considered.